For this week's outfit, we are marrying two of our favorite worlds - fashion and fragrance. Beauty and style go hand in and hand, so why not create an entire look based on that union? 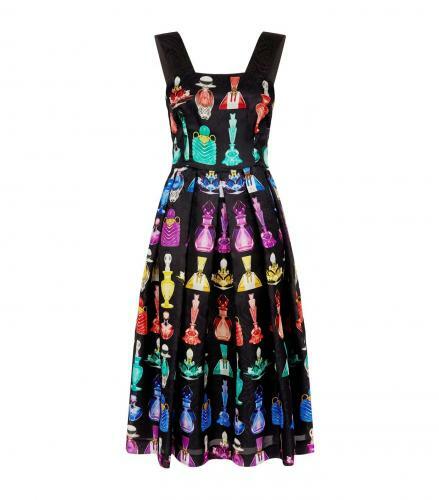 Starting things off with a skirt that you can almost smell the sweet notes from. Mary Katrantzou’s spring 2019 collection marks 10 years since the founder’s first show and this black silk-moiré organza dress features the iconic glass perfume bottle prints sourced from the label’s Autumn 2009 archives. Crafted in the UK, it is shaped for a slim fit with long darts down the front of the bodice, then flares out into a voluminous midi skirt, lined with a silk-satin slip. Since our fragrant design is so colorful, we wanted to bring out those hues even more with bold accessories. To start off - a pair of powerful purple heels by Giuseppe Zanotti. The 'Harmony' sandals have a simple three-strap silhouette that elegantly frames and flatters your feet. They've been made in Italy from high shine gold leather and set on a slender stiletto heel. Next, we got bright and sunny with a bag that is sure to catch eyes. Modern shape meets vintage whimsy in Wolf & Badger's small structured cross-body bag. 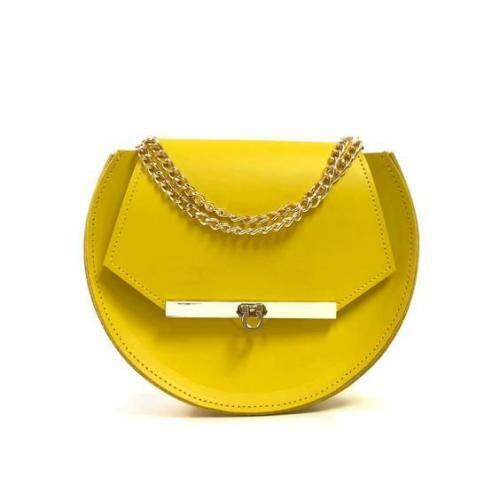 Exotic yellow sets to background the brand's signature gold bees which adorn the bottom and sides of the bag. The color story continues with a couple of sparkling jewels. 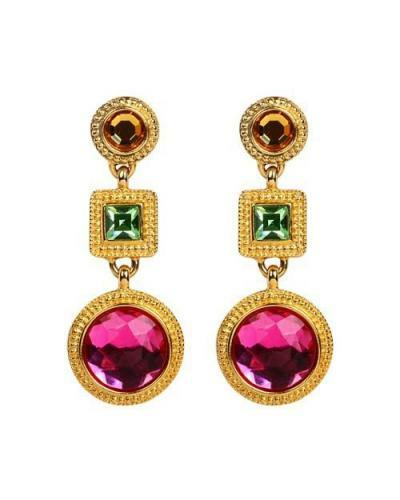 Ben Amun's multi-color drop earrings feature beautiful shades of amber, pink tourmaline, and peridot. To polish off the ensemble, we went blue with our beauty. Adding a swipe of electric azure to the top or bottom lashes will offer an unexpected pop to any makeup look. 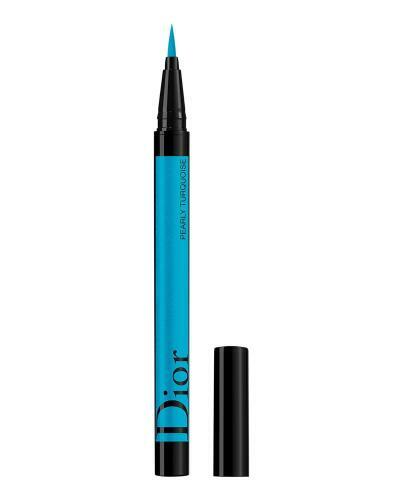 Inspired by backstage, Dior presents its first liner with a hybrid tip that combines the ease of a felt-tip pen with the suppleness of a brush. The fine tip allows for freer application, guiding the line to flawlessly recreate Dior runway looks in a single stroke. No matter where you turn up in this show-stopping number, people are sure to crave a spritz of your 'Black Opium' style.